Akureyri, known as the "Capital of the North" and located near the Arctic Circle, is the second-largest town in Iceland. 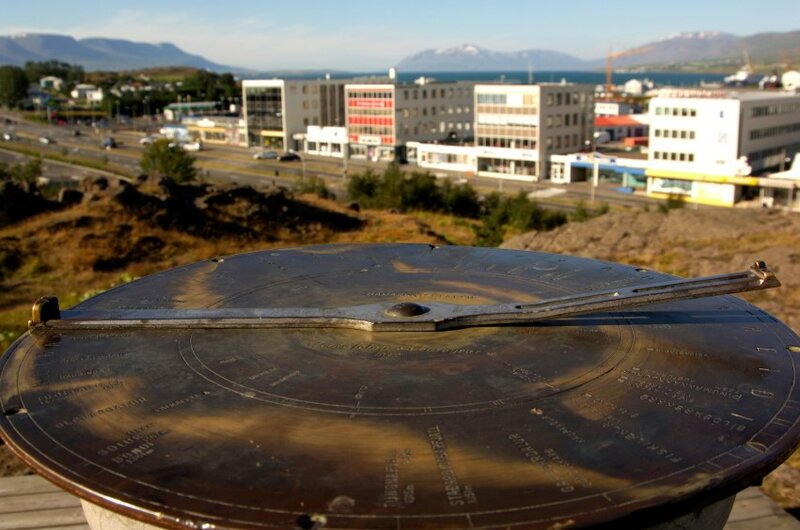 An industrial, shipping and dairy town on Eyjafjordur Fjord, 150 mi/240 km northeast of Reykjavik, it has a charming pedestrian shopping area, a folklore museum and botanical gardens that shouldn't be missed. When the weather is colder, plenty of winter sports activities are offered. During the summer, because the sun never sets, contestants in the Arctic Open play midnight golf. Nearby is lunarlike Lake Myvatn and its impressive green inlets. About 45 minutes northwest is Husavik, which is known as the whale-watching capital of Europe. This small town boasts a historical and whale museum and operates numerous whale-watching cruises. At least two nights are needed to do justice to Akureyri and the immediate area.